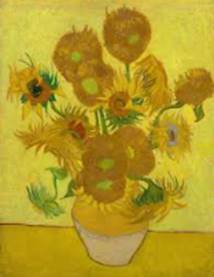 …for more than a century those who lived after him have learned to see the world through the eyes of Vincent van Gogh, who, living alone and unattended, speaks to us across time and powerfully influences the course of modern art. · I dream of painting and then I paint my dream. · Paintings have a life of their own that derives from the painter’s soul. · Painting is a faith and it imposes the duty to disregard public opinion. · I am always doing what I can’t do yet in order to learn how to do it. · A good picture is equivalent to a good deed. · There is nothing more truly artistic than to love others. · Art is life seeking itself. It is our intractable expression of love for the beauties, ideas and epiphanies we regularly find. 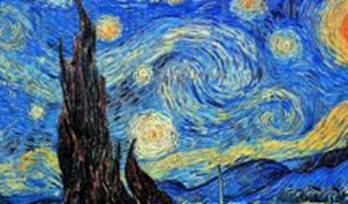 · When I have a terrible need for religion, I go out and paint the stars. 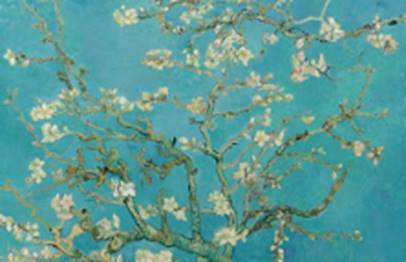 And of course, I can’t do these paintings justice because you can’t see the individual brush strokes or the texture, but here are some of the paintings from the article, and one I saw in Amsterdam at the Van Gogh Museum (Almond Blossom).